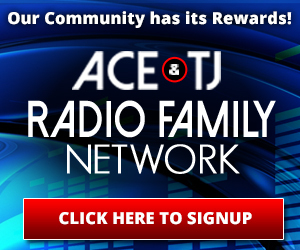 Have you ever wanted to be a part of The Ace & TJ Show?!?! Now’s your chance! We are offering a finder’s fee for every paying sales lead. A one-time payment of $100 will come your way for every lead that comes to fruition. If you know someone who’s interested in advertising with one of the most popular radio shows in the Southeastern Seaboard just send them our way and collect your CASH! Simply tell us who you are and what business you referred to us. Once they contact us and join the Radio Family Network we’ll send out your check. It’s that easy! Email Adam Goodman | AGoodman@AceTJ.com for more information. We’re connecting over 100,000 businesses with nearly 1,000,000 listeners via our new Radio Family Network. It’s free to join and you’ll receive instant opportunities to have other Radio Family members know who you are and why they should know about your business.